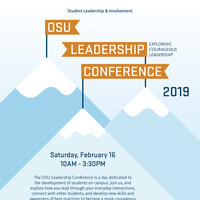 The OSU Leadership Conference is a day dedicated to the development of students on campus. Join us, and explore how you lead through your everyday interacions, connect with other students, and develop new skill and awareness of best practices to become a more courageous leader. The conference is free for OSU students.